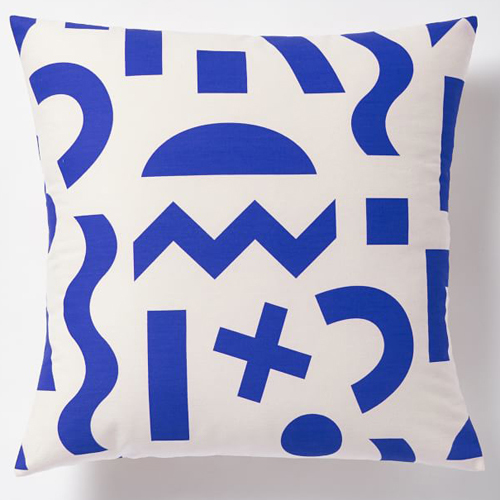 And finally today on our Memphis theme today we have the 80's style work of Ellen Van Dusen. 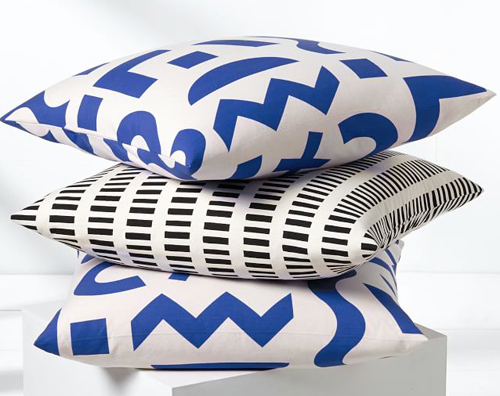 Ellen's other diverse design inspirations include Italian industrial design, mid-century resort architecture, and Scandinavian textiles. 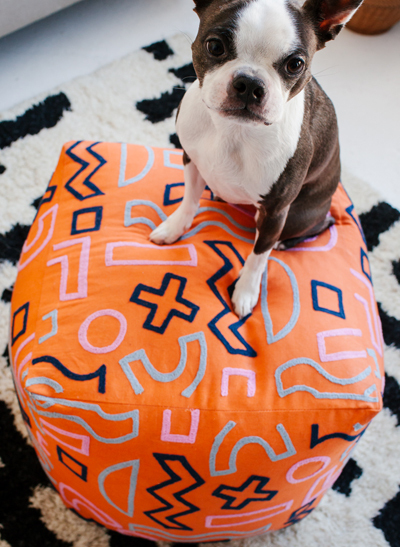 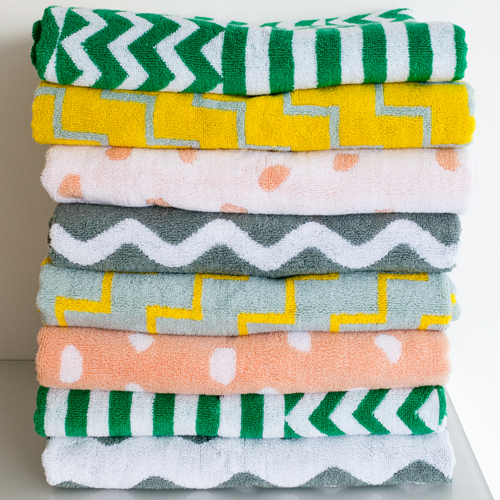 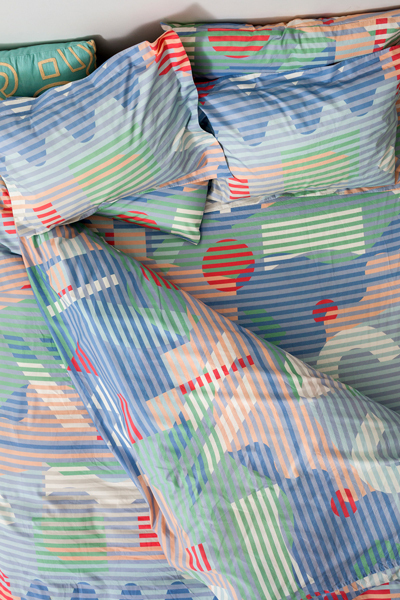 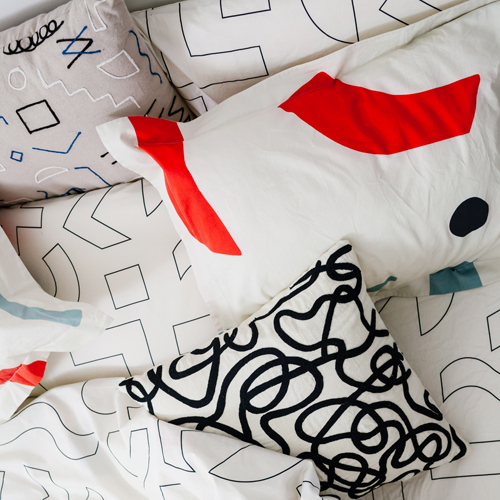 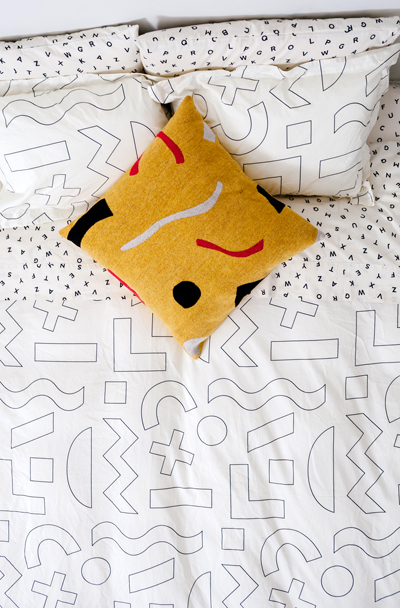 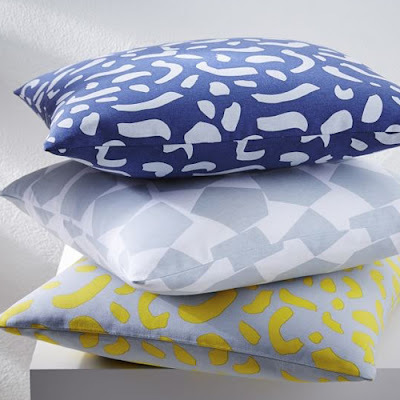 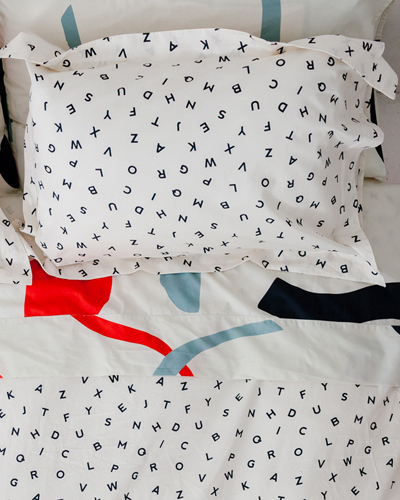 From her base in Brooklyn, NY she creates fashion collections and homewares under the studio label Dusen Dusen. 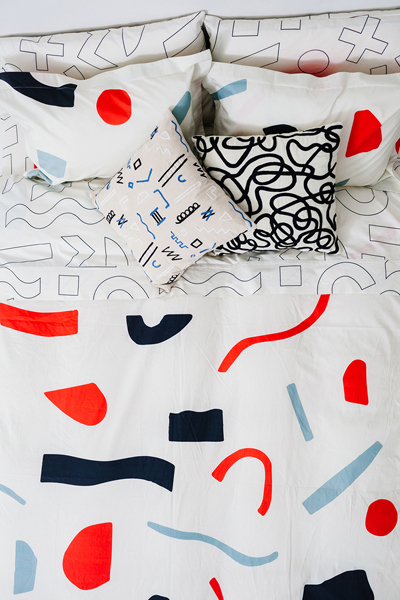 Ellen makes all her designs in the USA with hand screen printing in California and cutting and sewing in New York's garment district.